The activity on testing and integration of lab-scale and full-scale systems is carried out in the framework of different national, EU and industrial projects. Main focus of the activity is the development, optimization and testing of prototypes, pre-commercial and commercial sorption and hybrid heat pumps and chillers. 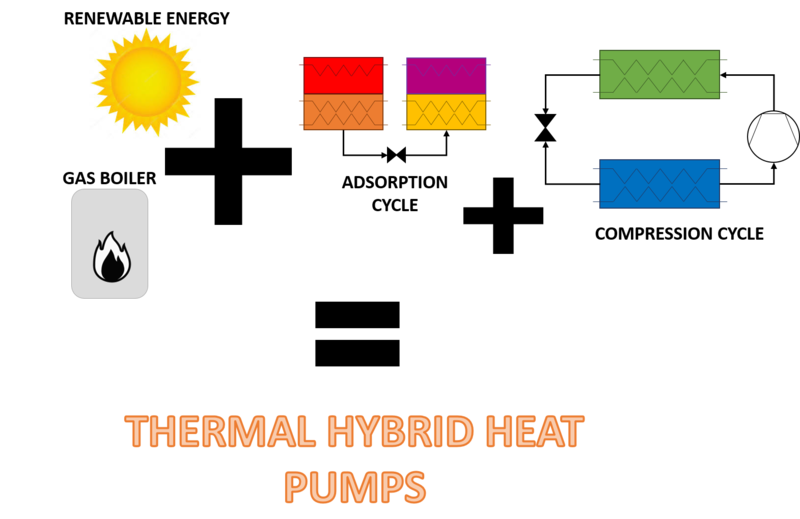 Gas-driven hybrid adsorption-compression heat pumps. CHP and CCHP using fossing fuel engines, fuel cells or biomass gasificators. Differential pressure sensors, to calculate pressure drops. Moreover, all the hydraulic circuits in the testing rigs are equipped with variable speed pumps, in order to guarantee the maximum flexibility possible in testing different system in nominal and off-design conditions. V. Palomba, B. Dawoud, A. Sapienza, S. Vasta, A. Frazzica, On the impact of different management strategies on the performance of a two-bed activated carbon/ethanol refrigerator: An experimental study, Energy Convers. Manag. 142 (2017). doi:10.1016/j.enconman.2017.03.055. A. Sapienza, V. Palomba, G. Gullì, A. Frazzica, S. Vasta, A new management strategy based on the reallocation of ads-/desorption times: Experimental operation of a full-scale 3 beds adsorption chiller, Appl. Energy. 205 (2017) 1081–1090. doi:10.1016/j.apenergy.2017.08.036.